Bauer Media has bought itself 33 analogue radio stations and three digital services after buying Lincs FM Group and Celador Radio, but will sell some of those for competition reasons. KCFM will be sold to avoid problems with Bauer’s current station in Hull, Viking FM, along with Sam FM South Coast to avoid issues with Wave 105. The Breeze Solent, which is made up of licences in Portsmouth, Southampton and Winchester, will also be sold on. Nation Radio has already agreed to buy these stations. The move gives Bauer a soft AC network across the south of England, an adult hits network in the southwest, a network of local stations in Anglia and Lincolnshire, and a hit music station in Bournemouth. It also spells the end of radio for Paul Smith CBE, Chairman of Celador Entertainment Limited, and Lincs FM Chief Executive Michael Betton, both founders of their own radio groups. 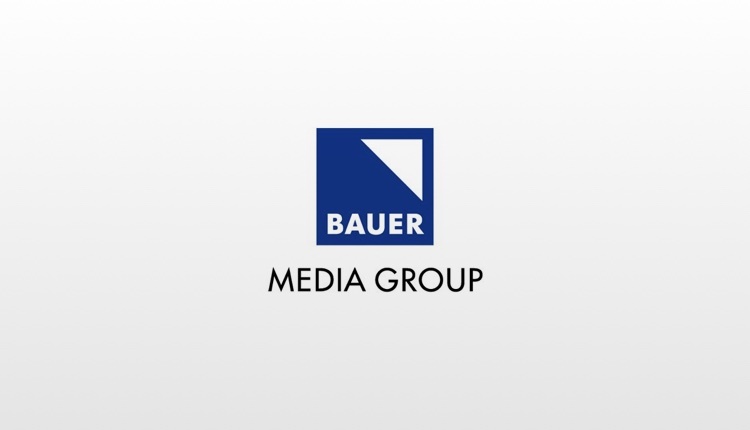 How these stations will fit into the Bauer portfolio of Hits and Greatest Hits has yet to be announced, but it almost doubles the amount of ‘radio brands’ owned by Bauer. Numerous operating changes are expected at these stations following the sale – and we’ll keep you informed during the coming weeks and months with any details. Amazing news for UK Radio. Bauer sweeps in and saves failing local radio stations once AGAIN. Time to syndicate quality radio onto these dead in the water brands. I agree. It’s about time these failing stations were sold. Let someone who knows what they’re doing have a go. Will there be such a thing as ‘local’ radio now? Wouldn’t it make sense to give Fire to KISS Network? I’m assuming the East Anglian stations will become Magic and the breeze too. Very boring radio and sad times can’t stand magic and I’m in the age bracket. Sadly local radio is dead apart from BBC and community stations. Greatest Hits Radio with regional drive, as in the West Midlands. Magic is a national station on DAB. Blah, blah, death of local radio, bring back the pirates, something, something, something, TV people coming over here, taking our radio jobs. (I say ‘our’ radio jobs, I’ve never actually managed to work in radio even though it’s my right because I once picked a song on a Community Radio station). I thought it said “leave a nice reply”. Sorry GlobalAshley but I doubt maybe you are old enough to remember the days when radio was actually exciting and worth listening to. If you seriously think the pile of dirge that is commercial radio these days can in anyway be compared to pirate Radio London and Caroline in the sixties or even BBC Radio London in the seventies with the likes of Robbie Vincent David Simmons Charlie Gillett Stuart Coleman and Steve Barnard you are deluded. 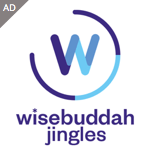 Luckily thanks to the internet I am no longer bothered by the corporate buy out of radio stations in this country as there are over sixty stations in my TuneIn radio app that happily totally wipe the floor with what you and an every increasing population seem happy to put up with! All about the money and not about the product as usual! There was a time during the commercial radio explosion when there were licences flying around like confetti that were too many presenting vacancies which resulted in people who shouldn’t have been to walk past a radio station let alone be on one. I’m in the process of digitising my collection of cassettes which features a lot of audio from those times and I have to say some of the stuff we did has not aged well and in some cases was absolutely terrible. I have amazing memories and am incredibly nostalgic for those times but I’m aware that it wasn’t the way some who post on here would have it. I’m surprised they bothered to buy the Lincs FM group as most of their stations overlap with Bauer stations already. Even Viking & Lincs have a large overlap as well as Lincs overlapping with Gem106. It does beg the question why they bothered to buy the whole group if they are likely to dispose of most of them. Celador on the other hand, you can see why they bought this company as they only owned Wave & Kiss in any overlap areas. The Breeze services are likely to be re-branded as Greatest Hits whilst the digital only services are likely to be ditched in favour of either Hits Radio or Greatest Hits, assuming their aren’t already available in those areas. Fire, I have to agree with Paul, likely to be re-branded as Kiss. So they can have a Hits and Greatest Hits station in the same area? I forgot to mention, the Celeador stations are all in areas which primarily have Global as a competitor so it was only likely that Bauer would be the only big fish able to buy them. I’m surprised though that the Wave 105 & Gem regionals haven’t been re-branded as either Hits Radio or Greatest Hits services. or 2 – They merge. Mind you, it would be no surprise if Global’s eyeing up Q.
local radio died long time ago R.I.P. I hope they didn’t pay more than £1 for the Celador stations! If you wanted to hear what local commercial radio was like in the early 90’s tune into Lincs now. Tired format, cringing links, not even utilising beds to keep the output flowing. It worked in the 90’s but as time went on it became a dinosaur. I am very sorry for some of the talent whose future now looks uncertain at Lincs, there’s only one person to blame for their sorry state and I think anyone in the industry can guess who I mean. Bauer have played a blinder, in before Global, secured an FM reach that is one of the largest geographically in England for a local licence, secured a majority stake in a large DAB transmission area too and has a lot of ability to influence an audience. Good luck to them. And you’d want to ‘influence an audience’ with generic, boring and un-relatable networked content? I agree that the logos are 90’s, but you can’t deny the service Lincs have given Lincolnshire by generating relevant and engaging content to their listeners. If you were a true radio advocate and understood the heritage Lincs Fm has within Lincolnshire, I suspect you would be in mourning too rather than championing the rich money grabbing national networks (which there are already too many of). I think they are looking at Linc’s FM mainly based in Lincoln. That’s why I think the main purchase of the Linc’s FM group. Where does that leave Ipswich 102 who have been on air for a relatively short time!! Ridiculous that one company can own so many licences and by default produce the same drivel nationwide. I remember working in radio in 1995 when GWR bribed some MP to put the licence number bill through parliament when hardly anyone else was there and of course it went through no problem. The death of any real “local” stations. The current legislation in place is the Enterprise Act 2002. The Global purchase of Real Radio showed that it’s possible to get round any issues by franchising. Sentimental wishes and harking back to heritage does not change business facts. The outfit must have a sustainable business model, advertisers must be willing to part with cash, advertisers won’t do this with a consistently falling RAJAR, lack of appeal leads to a diminishing audience. Why would I want to mourn any of that? Mass audiences don’t care about heritage, they care about appeal. Surely sustainability and commercial viability is advocacy of the industry, rather than pining after heritage services that do not fit with the current market. The sentimental “proper radio is dead” comments were inevitable. But Lincs has been a timewarp station for decades. Its success has hinged on the fact it’s been in an area with very little competition for much of its life. Was radio better back in the 80s and 90s or just different? If you listen back now on Aircheck Downloads, the links often sound cringey and rambling. Radio HAS to be more audience-focussed than ever before. And I don’t buy this accusation that everything has somehow dumbed down. These big radio groups are having to fight for their audiences – between themselves – and against local radio stations offered by community groups and the BBC. Not to mention Spotify and everything else competing for our ears. As a listener, I feel like I’ve never had so much choice. Yes it’s sad about heritage blah blah blah. But things are changing and, in general, for the better, in my opinion. Wave 105 covers Bournemouth so surely Fire Radio will have to be sold on or rebranded Hits.